A couple of years ago I declared “I don’t do races”. Then I did the Liverpool Women’s 10k in 2010, enjoyed it and didn’t race again for over a year. 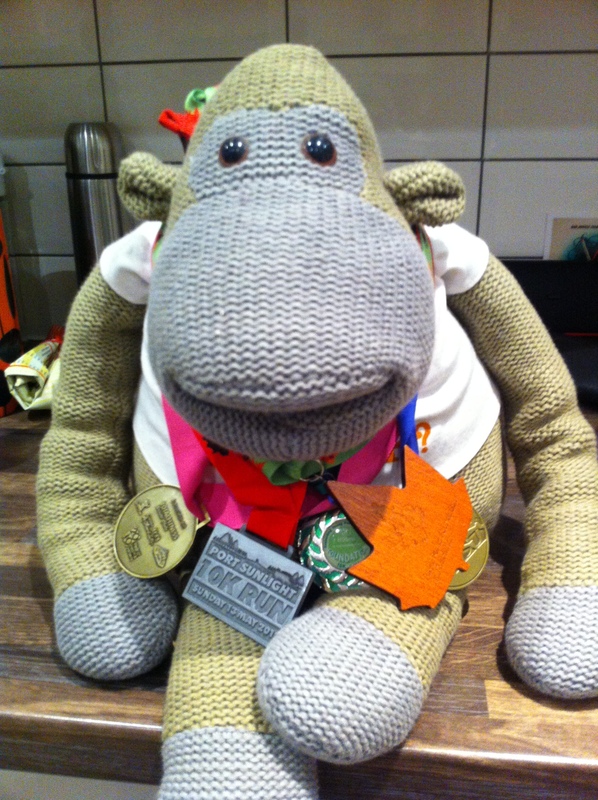 The next year I ran the Blackpool 10k in preparation for doing the Folkestone Half. Last year something went terribly wrong and I did five (the Age UK Wrap Up and Run 10k, theBolton 10k, a Badger 10k, the inaugural Port Sunlight 10k and the Royal Parks Half). I have no idea what has happened to me this year, but we’ve not even finished Janathon and I appear to have acquired a race calendar. I don’t know if it’s the weather (looking forward longingly to spring) or just the fact that I’ve really enjoyed Janathon this year or what*, but (so far) I am signed up for three, am pondering one and have one pencilled in. February: Mad Dog 10k – it’s rated as one of the top 10k races in the country by Runner’s World, you get the friendliest emails in the world from the organisers, I’ve read somewhere that someone won a toaster as a spot prize and it’s Southport, therefore it is flat. I like flat. March: Cartmel 10k – apparently a hilly but beginner-friendly trail run in beautiful scenery and according to my mate Andy who knows about such things, “It’s tough, very soggy, but terrific fun”. Oh, and it would be the perfect race for Henniemavis – its full name is the Cartmel Sticky Toffee Pudding 10k. April: Blackpool Half – I seem to like a coastal race, it’s flat, it’ll be the first half that I run in the same half of the country where I live and Fortnight Flo is running it so there’s a chance to meet more lovely twitterers. Splendid. April: Bolton 10k – Another hilly one, this time in Leverhulme Park, Bolton. I ran it in a downpour last year and it still put a smile on my face. May: Liverpool Spring 10k – This is a new race being organised by the people behind last year’s Port Sunlight 10k, which I loved. This one is in Sefton Park and Matt the organiser has plans for bands, bunting and cake. That’s my kind of race. Tonight’s Janathon was a 3 mile out and back picking my way along crunchy pavements without falling over. WOW…that’s a lot of races! I do fancy entering more…especially since I just purchased some trail shoes 🙂 happy training! Good luck times lots! They all sound great. Just got the second half of the year to fill up now you have the bug. Oh and you’ll need another monkey! Well done! Like you, I didn’t do races, but after completing a race for life a couple of years ago I had to change my mind. I’ve just been thinking about the races I want to do this year, and have a few in mind. Oh yay!! So glad you are running and we can say hi and maybe even run a while together – yippee!